Blackpool is without doubt the gay seaside capital of the North. The mixture of glitz, camp and "ole tat" means there is something for everybody. Famous landmarks include the hugely popular Pleasure Beach theme park, the Blackpool tower and the seafront known as the "golden mile" which has numerous amusement arcades as well as three piers. Although a lot of people will go to Blackpool to see the lights in the autumn, we've had brilliant weekends up their at Easter and at various Bank Holidays and had just as much fun. The bar and club scene is dominated by one group In The Pink Leisure Ltd run by local businessmen Basil Newby. In The Pink is responsible for the famous Flamingo Club as well as Roxys, The Flying Hand and the infamous Funny Girls Cabaret Club. We have listed the most popular venues below and you will find a full directory of Blackpool's gay bars, clubs and saunas listed on our UK Gay Guide. 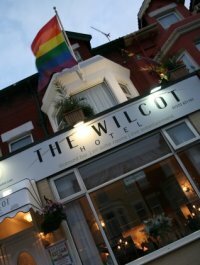 To cater for the annual influx of gay men & LGBT tourist, Blackpool has many gay owned and gay-friendly hotels and guesthouses. We feature a number of the most popular hotels on this page and in our gay travel directory. A number of the hotels belong to B.A.G.S. The B.A.G.S group of hotels ensure the gay visitors to Blackpool receive a warm welcome and are accepted fully regardless of their sexuality. These hotels and guesthouses can often offer concessions to the gay clubs in the town. 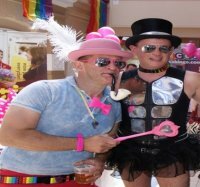 Blackpool Pride Weekend 2019 -Blackpool Pride Festival 2019 takes place on Saturday 8th and Sunday 09th June. The festival is going from strength to strength and each year works to bring LGBT people together with the families and friends in an environment where they can feel safe and welcomed. It will be a celebration of our LGBT community where people can meet and make friends and be themselves. Blackpool Pride Festival will include both local and national singers / entertainers. A vehicle and walking parade. The main event will take place within the town famous Winter Gardens venue and will feature a family area, a trans Zone as well as the usual market stall and live acts. The organisers believe Pride Events should celebrate LGBT culture and history so we are also organising an exhibition to celebrate Blackpools LGBT history and heritage. The legendary Flamingo club has undergone many refits over the years (gay since 1980) but the latest project was the most ambitious ever. It has transformed the club into the largest 7-day-a-week venue in Europe and is now regarded as a major touring venue for larger-than-life PA's and Groups. Flamingo's has also now relocated to its new home. After a multi million pound refix, the excellent venue has numerous bars, huge dancefloor and a state of the art light and sound system. See website for current opening times / special events / PA's etc. The music is excellent and the club is packed at weekends with a young attractive mixed crowd. Hugely popular gay venue. 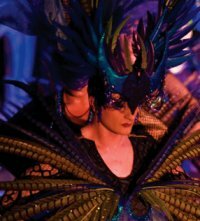 Non-stop music and cabaret all week from vocalists to bands and drag shows to specialist acts. Make The Flying Handbag your port of call each week and savour the very best in musical entertainment. The atmosphere is a combination of good old camp with the added ingredient of imagination. The staff are always looking at ways of giving you a 'night to remember' and run regular theme nights that invariably include the deployment of the largest legally available pyrotechnics and confetti bombs! Blackpool fun pub / show bar with regular cabaret and drag DJs. Roxy's is a picturesque venue boasting top quality entertainment 7 nights a week.With 5 levels to explore, there is a plush balcony to the front of the venue with amazing views of Queen Street, The Irish Sea & The Illuminations. We also have a choice of 4 bars where you can quench your thirst. 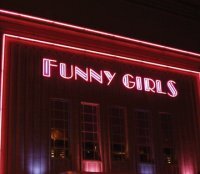 Funny Girls goes from strength to strength with its move to the old Odeon cinema venue. The sher size of the venue and quality of the show is incredibly impressive. Although the audience is very mixed, we can thoroughly recommend an evening here. Funny Girls, Flamingo Club and many of the other gay bars are also closely situated to many of the gay hotels situated in and around Lord Street. Funny Girls, Blackpools' Internationally acclaimed show bar is an utterly unique and altogether unforgettable experience. See website for opening times / admissions prices etc. 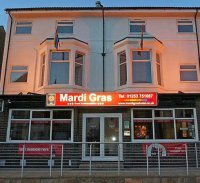 One of the most popular and longest established licensed Gay Hotels in Blackpool. Previously voted 3rd BEST Gay Hotel in UK. Providing a safe environment for singles, couples and groups. Situated close to Blackpool's night life in the vibrant North Shore area, Guyz Hotel offers easy access to popular attractions like The Grand Theatre. The burlesque cabaret showbar Funny Girls is only 100 yards away. Guests receive a free VIP discount card providing 50% discount at many popular bars, restaurants and attractions. Each room has free Wi-Fi, free tea/coffee making facilities. Guests can enjoy a continental or a hearty Full English breakfast, with vegetarian options. A variety of restaurants can be found within 10 minutes' walk. 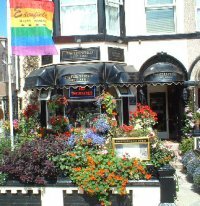 Lawrence House is a gay hotel in Blackpool near the North Shore, providing quality accomodation and rooms, bed and breakfast and evening meals, and close to to all the gay bars and clubs. We offer Four Star nationally accredited and award winning guest accommodation. Flamingo Club , Mardi Gras and many more pubs and clubs makes it a great place to stay. 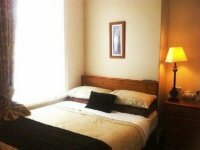 This Gay Blackpool Hotel has been established since 2004 and in that time has built up and excellent reputation for high Standards and friendliness, Welcoming Gay Men, Lesbians and their friends. 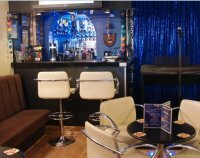 We provide a clean and friendly blackpool gay hotel, blackpool gay guest house in the Blackpool Gay community close to blackpool funny girls, blackpool flamingo club, basil newby, close to the Acqua gay sauna and gay honeycombe sauna. We provide cheap gay accommodation, gay bed and breakfast for gays, and their gay friends. Gay Blackpool in the centre of the Blackpool. 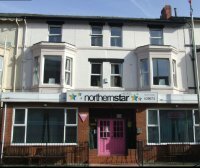 Formally the Northern Star 2, Mardigras 2 is Blackpool Gay friendly hotel in the heart of the Blackpool Gay Scene, The Mardi Gras 2 is a gay owned hotel for gay people staying in Blackpool. 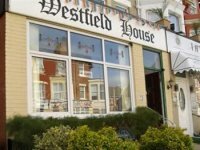 The hotel was fully refurbished in 2010, Our aim is to provide great value for money, great service in a clean and safe environment, ensuring the personal touch during your stay. 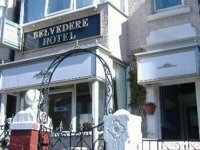 Welcome to the Belvedere Hotel. 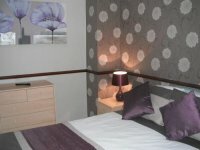 We are an 8 bedroom, immaculate hotel, offering quality ensuite accommodation. 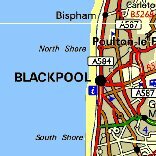 We are ideally situated in the North Shore area of Blackpool, just a few minutes walk from the "scene" and as members of BAGs, can offer concessions to the Flamingo Night Club, Acqua Sauna with the new Funny Girls/Gay complex being just minutes down Dickson Road. We are also close to Blackpool North Rail Station and all other amenities of central Blackpool. Contact: Linda or Sandra. 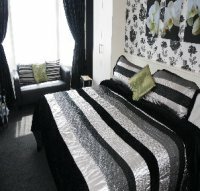 Situated in a quieter area of Blackpool, The Edenfield Guest House is idealy positioned with good transport links to the North shore Station and Talbot Road Bus station being a short walk away.Within walking distance to Funny Girls, Blackpool Tower, The Winter Gardens, The Grand Theatre and Sea Front,we are ideally positioned for a short break in stunning Accommodation in Blackpool. We are pleased to offer a real sense of luxury with good old fashioned hospitality. Blackpool Gay owned hotel close to the centre of the resort and all of the main gay nightlife. 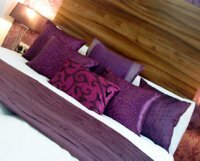 Superbly presented accommodation, all ensuite rooms and elegant comfortable surroundings. ETC 3 Diamond Graded and Blackpool Tourism Gold Host Award. 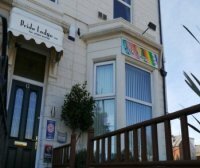 Pride Lodge is a Blackpool gay hotel in the heart of the blackpool gay scene.Situated in the centre of the Blackpool Gay scene and the closest gay accommodation to the Train Station. Offering TOP quality 4 STAR rated rooms, specifically for the Gay & Lesbian guest. Each spacious guest room has a 'super clean' En-Suite - new for 2013. and King size bed with 'in room' private dining facilities for optional breakfast and meals, available by room service. All rooms are double glazed, centrally heated and have - TV/DVD, Radio Alarm with iPod dock & charger, Mini Fridge, Hospitality tray, Iron & Board, Hair dryer, Safe and various lighting options. With 9 Gay venues within 500 yards, it's quick and easy to be on the scene & back home to Pride Lodge at the end of a great night - to a quiet and cosy room. If you are looking for excellent quality and value then check out the website for more details where you can also read our customer reviews & find details of our special offers. Pride Lodge was the only Pink Choice International Award winner for the U.K.from 2010 - 2013, awarded for excellence in service to the Gay and Lesbian community. Jim & John welcome you to Westfield House. We offer our guests quality, comfortable accommodation in relaxed surroundings, at affordable prices. Our aim is to provide an unforgettable break and very effort is made to ensure your stay is as pleasurable as possible. We take pride that our guests visit us again and again. The hotel caters primarily for adult couples and single people. We do not accept large groups of young adults (under 25) or large groups of men or women i.e. stag or hen parties.All our rooms are en-suite, centrally heated, double glazed. All rooms have tea / coffee making facilities. All rooms have digital Freeview colour TV's. Guests can relax in our cosy Bar / Lounge, which has been designed for your comfort.The Bar / Lounge is a relaxing environment for you to enjoy a quiet drink after dinner or breakfast. The dining room has warm and calming decor and when possible, we give guests their own individual tables.